If you have not visited Old Fulton New York Post Cards (www.fultonhistory.com), a database of historical newspapers scanned by Tom Tryniski, you are missing one of the best resources out there for genealogical research. The newspapers are mostly from New York State, but you will also find newspapers from other states. I have compiled a list of 20 reasons I love this site, but there are many more. 1. It is free. There is no cost to use Old Fulton New York Postcards. 2. Helps people with New York ancestors. People with New York ancestors know that New York poses a special challenge to finding information. 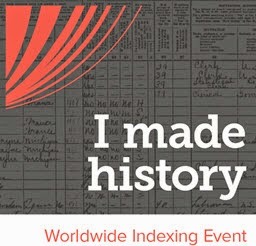 Fultonhistory.com is one of the most useful resources for discovering information on your New York ancestors. 3. History and Genealogy. If you type “History and Genealogy” into the search box at www.fultonhistory.com and choose the exact phrase, you will get over 500 documents containing information on numerous surnames, genealogical sources and local history. 4. Treasure Chest. If you click “View Fulton Historical Photos” on the bottom of the home page, you will find a page full of links to church records, New York census records, military records, business histories, cemetery records, photo albums, maps, postcards, probate records, high school yearbooks and more. 5. O’Hearn’s Histories. If you type “O’Hearn’s Histories” into the search box at www.fultonhistory.com and choose the exact phrase, you will get over 700 documents containing historical and genealogical information. 6. Other States. Fultonhistory.com also has historical newspapers from other states. For example, if you type “Philadelphia PA Inquirer” into the search box and choose exact phrase, you will get over 5,000 documents. You can narrow these hits by using a Boolean search such as “Philadelphia PA Inquirer” w/25 [your surname]. 7. Pioneers. If you type the name of the county or town you are interested in along with the word “pioneer,” you will probably get a number of newspaper articles that discuss the early pioneers in that area. This can be very useful information because, as you know, the censuses prior to 1850 only gave you the names of the head of household. I ran a search for “Brookfield Pioneer” and found a fascinating article entitled “Capt. Daniel Brown’s 60 Feet of Daughters.” This article stated that Capt. Daniel Brown, a Quaker, came from Stonington, Connecticut, and was the first settler in Brookfield in 1791. It then goes on to list his different wives and children. (1) Since I have Brown ancestors from Stonington and Brookfield, this information will give me clues to further research. 16. Violent or tragic deaths. There is nothing like a grisly or sad passing to bring out reporters. See “Richard Williams and the Erie Canal” (http://www.theartofgenealogy.com/2012/09/richard-williams-and-erie-canal.html ) and “The Welsh Saga Continues” http://www.theartofgenealogy.com/2012/09/the-welsh-saga-continues.html . 17. Track a business. Newspapers often featured articles about local businesses. My grand aunt, Isabel Williams Hamlin, owned a hobby shop in Utica, New York. I have found dozens of ads and articles about her business. 18. Epidemics. There are thousands of articles about cholera, tuberculosis, diphtheria and other epidemics. You might just figure out why you lost a number of ancestors the same year. 19. War veterans. Many of our ancestors fought in wars. Newspapers ran articles about them, especially on Veteran’s Day and Memorial Day. DAR members also honored our nation’s veterans, and newspapers recorded their activities. 20. The site is whimsical and funny. You have to love the swimming fish that sticks its tongue out on the home page of Old Fulton New York Post Cards. Thank you, Tom Tryniski, for all your hard work! Dover Publications, Inc., Mineola, New York, Electronic Clip Art, "Full-Color Men and Women Illustrations," 2001. Dover Publications, Inc., Mineola, New York, Electronic Clip Art, "1100 Pictorial Symbols," 2007. Dover Publications, Inc., Mineola, New York, Electronic Clip Art, "Advertising Cuts of the 20s and 30s," 2003. Dover Publications, Inc., Mineola, New York, Electronic Clip Art, "1268 Old-Time Cuts and Ornaments," 2006. (1) “Capt. Daniel Brown’s 60 Feet of Daughters,” The Courier,” Brookfield, New York, February 15, 1928, Byte size 602735, Tom Tryniski’s Old Fulton NY Post Cards (www.fultonhistory.com: accessed 1 May 2014). Fulton History is a wonderful (and free) resource that has helped me tremendously. All the Philadelphia Inquirer items I have found are ONLY credits to and copies from the PI issues. Somebody please write exactly how to find the issues on this site, if they actually are here. looks like the site is down! anyone know why? I would like to give my father as much as I can about his dad. I hope it comes back soon. Although there are other NY newspaper websites, such as NYS Historic Newspapers (http://nyshistoricnewspapers.org), it would be a shame to not have fultonhistory.com.